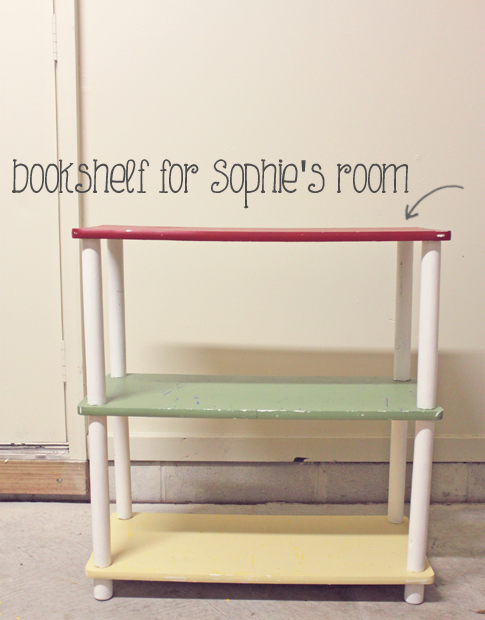 Sophia's new nursery is still in the works but I wanted to show you a couple of thrifted furniture pieces I bought and made pretty! 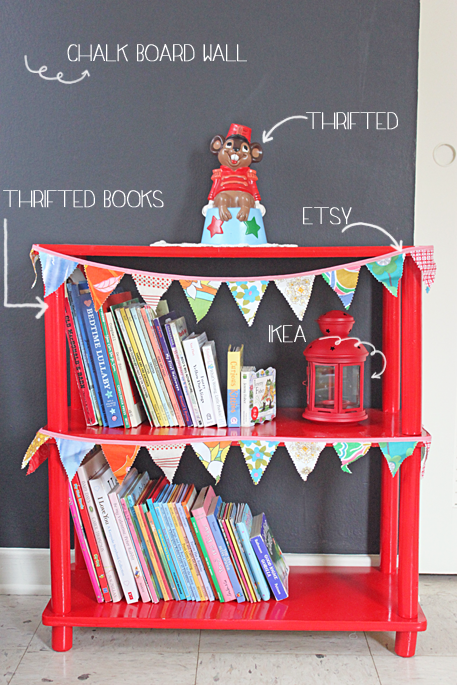 Remember the bookshelf I showed you on last weeks thrifty thursday? WOW!! What a great job you did transforming those pieces into something unique and beautiful! I always think about going down to the thrift store to do things like this, but never get around to it! I must make a point to just GO! Such awesome DIY work! Seriously I wouldn't have thought that looking at those pieces! You, my dear, are amazing. You inspire me to get back to doing home decor projects! I love I love I love!! 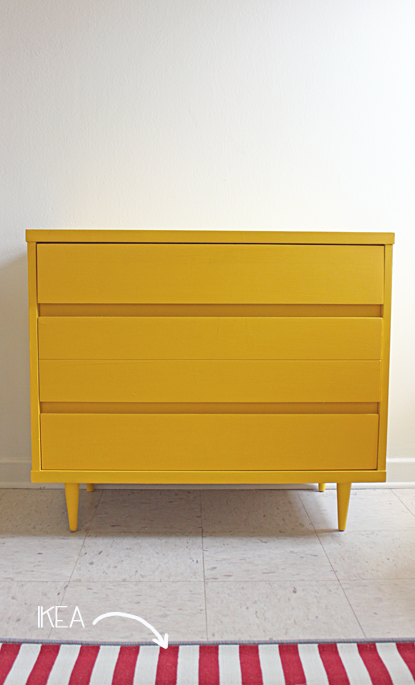 What did you use to paint the yellow dresser? Thanks everyone for the sweet comments!! Oh my gosh you are too good! I am in love! Woah!!! 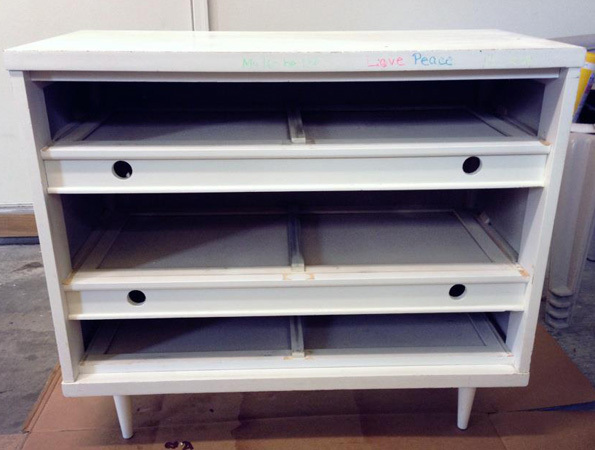 You're a thrift magician! It looks awesome!!! Really good work - so nice and bright and cheery! whoa, you got some talent there girl! they turned out beautiful. i especially love the candy apple red color on that bookshelf. newest follower from the almost friday blog hop! You have done such a great job on these - she has an amazing mama! Now following :) Would be great to follow each other. I have never walked into a goodwill store. I donate there, but never shopped. I love this crafty idea! Thanks so much for posting. Following you from now on! I really like what you did with the room! Simply lovely.